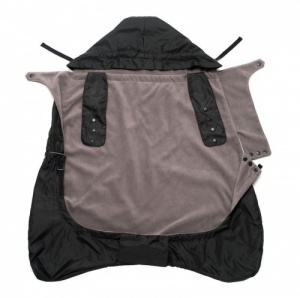 Ergobaby 2 in 1 Winter Weather Cover - Fleece and Raincover Combined. 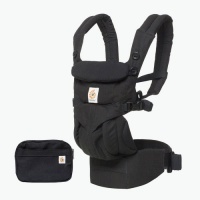 You and your baby can comfortably venture out in the cold, thanks to the Ergobaby Winter Cover 2 in 1. A key rule of parenting is to always be prepared. Ergobaby’s new and improved Winter Weather Cover easily attaches to any Ergobaby Carrier and is truly designed to beat the elements. 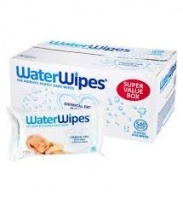 The outer shell provides protection from the wind, rain and snow while the fleece lining keeps baby warm and cozy. Cool weather can’t stop you and your baby now. 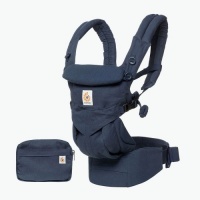 The weather cover is also compatible with the Ergobaby 360 when using this following knack: Please attach the weather cover to the shoulder straps according to the instructions. Now take the corners of the male velcro and slip them under the safety strap, one on each side of the fixpoint (a rectangular seam) which you can find on top of the safety strap and centered right underneath the bucket seat. Lastly attach these corners onto the female velcro. 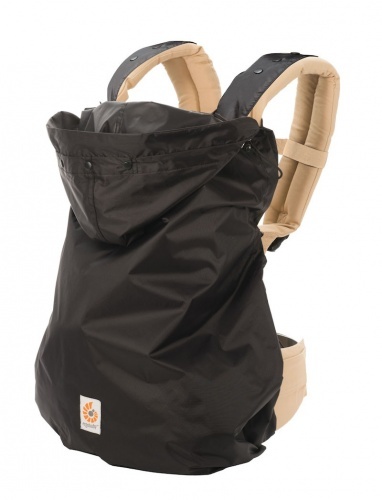 Both the Winter Weather Cover and Rain Cover can be used with all current Ergobaby carriers. Snap adapters may be needed to use the Winter Weather Cover or Rain Cover with carriers made in 2013 or earlier. Please contact customer service at support@ergobaby.com or 1-888-416-4888 to request snap adapters if you require them.